Today, Photo 51. The University of Houston presents this series about the machines that make our civilization run, and the people whose ingenuity created them. As any historian will tell you, history isn't about facts; facts like the number of ships sunk at Pearl Harbor. Facts are simply the building blocks from which we seek to reconstruct why events unfolded the way they did. History is the narrative - the story - that seeks to piece things together in a way that makes sense. This vividly reasserted itself while I was trying to piece together the story of a most remarkable woman, Rosalind Franklin. Many of the facts are straightforward. Franklin was born in London in 1920. She attended Saint Paul's School for Girls - a progressive, academically rigorous institution where she demonstrated skills in math and science - and by age sixteen she had her eyes set on a career in science. It proved a very successful career. In her early twenties she contributed to our understanding of the detailed micro-structure of coal, helping make it possible to classify different types of coal and how they burn. In the latter part of her career, she made contributions to the understanding of plant viruses. But it was the middle of her career that brought her acclaim, though not during her lifetime. Through her work, Franklin had developed great skill in x-ray crystallography - a technique by which to visualize how the atoms in large molecules fit together. 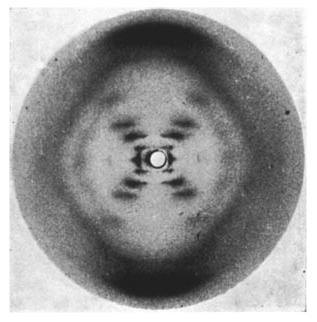 One image painstakingly created under her direction, known as Photo 51, found its way into the hands of James Watson and Francis Crick, two recipients of a 1962 Nobel Prize for their discovery of the famous double helix structure of DNA. Watson was so moved by the experimental insight it provided he would later write, "The instant I saw the picture my mouth fell open and my pulse began to race". Yet, it wasn't Franklin who'd shown the image to Watson and Crick. Instead, a colleague of Franklin, Maurice Wilkins, had done so. After Watson and Crick proposed the double helix structure of DNA, Wilkins went on to perform years of experimental work validating the theory, and as a result shared the Nobel Prize with Watson and Crick. It's at this point that the historical narrative veers in different directions depending on who's looking at the facts. And it's not surprising given that claims for research priority are often messy affairs. Why wasn't Franklin recognized for her contribution? While she didn't share the 1962 Nobel prize she couldn't have - she died four years earlier at the age of 37, a victim of ovarian cancer. Nobel prizes aren't awarded posthumously. Would she have received the award had she been alive? As scholars fill in the details of Franklin's life, there's no question about her contribution to the discovery of the double helix of DNA. But even more importantly, what emerges is the picture of an exceptionally capable individual who loved her work and succeeded in making many varied contributions in her lifetime. James Watson. The Double Helix: A Personal Account of the Discovery of the Structure of DNA. New York: Touchstone, 1968. 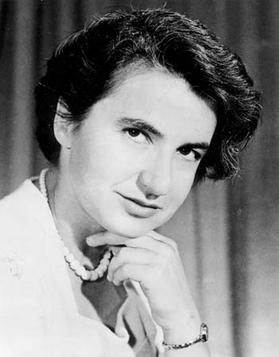 The Rosalind Franklin Papers. From the website of the U.S. National Library of Medicine: https://profiles.nlm.nih.gov/ps/retrieve/Narrative/KR/p-nid/183. Accessed April 10, 2018.